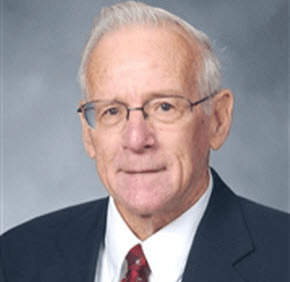 J. George Kropp, a faculty member of Calvert Hall’s social studies department for 53 years and a well-known swimming coach, died Oct. 6. Kropp, who retired from Calvert Hall in June, also coached football and water polo; coordinated the Towson school’s annual blood drives and moderated several clubs. He was also a former head coach of the Towson University women’s swimming team. Kropp is survived by his wife and three children, eight grandchildren, a brother, sister and three sons-in-law. Visitors will be received from 7-9 p.m. Oct. 10, 2-4 p.m. and 7-9 p.m. Oct. 11 at Ruck Funeral Home in Towson. A funeral Mass will be offered at 10 a.m. Oct. 12 at Church of the Immaculate Conception in Towson and burial at Dulaney Valley Memorial Gardens in Timonium. Donations can be made to Calvert Hall’s George Kropp Scholarship Fund. Visit calverthall.com.